Is this urban rockabilly gendered? Very J. 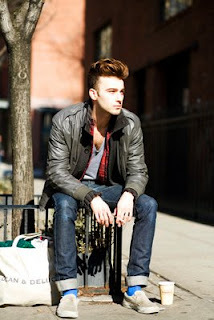 Dean, very urban. I saw a similar style in a Columbus Starbucks today. On a man.